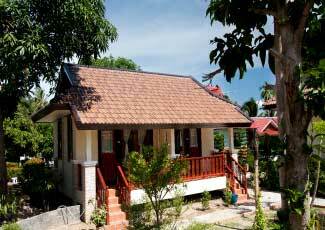 Welcome to Starlight Haadrin Resort.A family run bungalow on the peaceful sunset side of Haad Rin. Only 10 minutes walk to the Full Moon Party. We invite you to our quiet relaxing resort. A heaven from the bustle of Haadrin town and the Full Moon Party beach. Our restaurant serves a wide varity of food and drink. The town of Haad Rin has is home to a vibrant mix of friendly Southern Thai hospitality and Koh Phangan's unique party culture, creating a place and vibe that could only be found at the origin of the Full Moon Party. The event has bought the Island global notoriety and Had Rin has become one of the biggest party centres in the world; attracting up to 30,000 people to the Full Moon Party at New Years Eve and 10,000 on an average Full Moon. The town has grown to accommodate these visitors and Had Rin has a great variety of restaurants and nightlife options. There are over twenty clubs, scores of bars and a multitude of eateries serving every cuisine under the sun, from Mexican to Indian or whatever else you fancy.